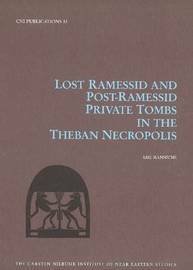 Investigating records of early travellers and fragments of tomb paintings in museums and other collections, Lost Ramessid and Post-Ramessid Private Tombs in the Theban Necropolis is a follow-up to Lise Manniches Lost Tombs. A Study of Certain Eighteenth Dynasty Tombs in the Theban Necropolis (1986). The descriptions and drawings of 19th-century manuscripts are used to attempt to re-construct the decoration of tomb chapels in the Theban necropolis whose precise locations are no longer known and to assess their ownership and place in history. 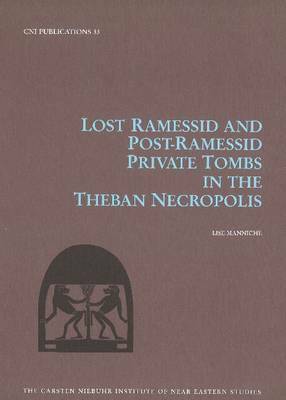 Lise Manniche is Associate Professor of Egyptology at the University of Copenhagen.